Compact and Affordable Portable Power. When you need to take your power with you, this compact generator is the perfect answer. 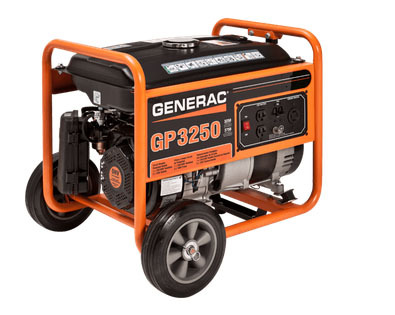 The GP3250 model offers an affordable solution for recreation applications and is sized just right for tailgating, camping and power tool use.